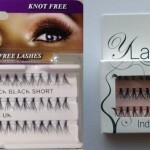 Most of us have used at last once strip false lashes in make-up…final result gives fuller lashes and more defined eye. Individual lashes are less popular…most people may find it difficult to apply. Best to do it first at someone other, rather to yourself. Individual lashes are most used, and more often recommended for bridal and events. Removing – some brands includes remover for individual lashes (e.g. Lift Off by Eylure) – but in case if it’s not included: use any oil based make-up remover, or any natural oil e.g. coconut oil, olive oil etc. So let’s compare value to price = £5 per pack bu you may use/need only 1 layer so it’s 17 clusters! think it’s pretty much expensive. 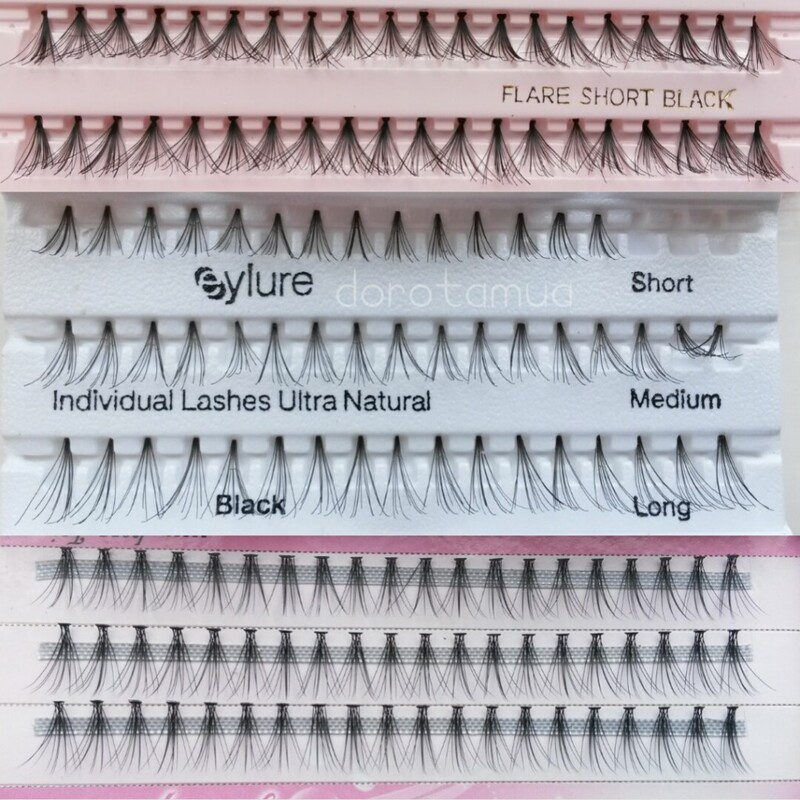 In boots there is in sale also – Eylure Individuals Mini trial Pack – £3,95 Pack contains 8 flares of all 3 – short, medium and long… Eylure Individual Lash Short – 51 knotted clusters , short length lash flares – for £4.54 are in sale online. So getting full size pack with only one lenght would be better idea. When I apply Y-lashes (s) and Fine Line (M) – I need usually 3-5 clusters, very rare need more! When I used Eylure – I had to use 5 up to 10 to fill eye corner and gaps…So…so far I am a fan of Y-lashes (s) and Fine Line (M) but this both have often limited stock in stores in Leeds/online stocks… so I needed to find another supplier that would offer good quality… . I tested also cheap one from ebay – absolute no name, no brand – but so far this was the worst ever… so do not recommend it. 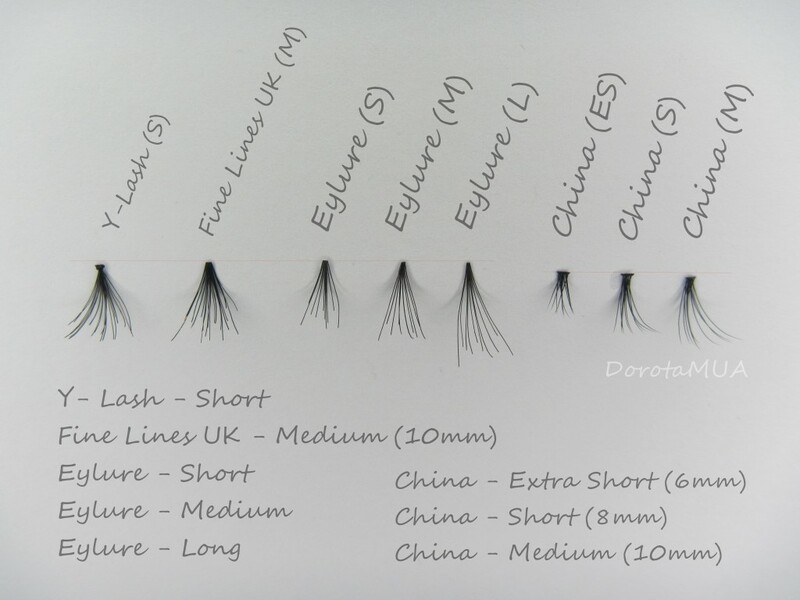 I ordered 3-4 lots of 3 different sizes (6mm, 8mm, 10mm) 1 lot =2 packs of lashes. £5.12 / lot – so its ￡2.56 / Pack + free delivery (!) Order was sent in two parcels, packet well and quite fast… Parcel posted 2014.08.17, about 2 day after payment – one parcel arrived 22nd! second this week 26th of August! So very fast! For orders from China typical delivery is 15-30 Days. I compared of individual clusters – so you could see how big are, and how hair really looks like. and what differences are between them. One more thing about China made clusters – their hair are tapered! I haven’t found yet other cheap brand that would have it… Maybe this aren’t very flare – as Y-lash or Fine Lashes are nice thick, wide flare… and yes, I may need more clusters to fill eye corner – but because the tapered hair – it looks really natural.